Home › News › This way to the Sale. 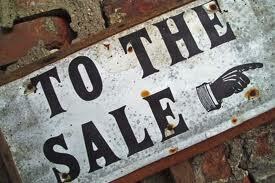 This way to the Sale. Fini's Summer sale is now on! Save 20-80 percent off all spring and summer stock. And as we all know, Summer around here goes deep into September. ( Maybe into October after the lousy spring we had.) So there will be plenty of time to enjoy your finds before packing them away. Fall handbags, scarves, and gloves are arriving daily. Come by and mention this post, and enjoy 10 percent off all new items. Something for now, something for later. Nothing wrong with that.